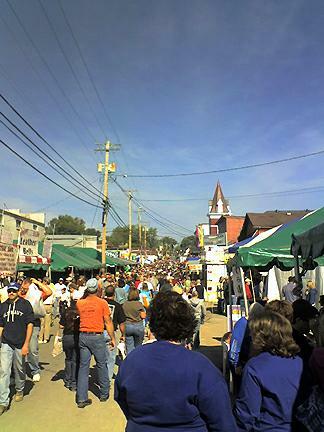 In Mount Sterling Kentucky October Court Days = A Wild Weekend of Shopping! There is NOTHING in this world as whacky as October Court Days in Mt. Sterling Kentucky! It's completely in my blood and genes. There's no known cure for it and I am afraid it is terminal. There is no way I would miss a year of attending. It always occurs every third Monday in October. That was when court was in session and country folk came into town to swap, trade, sell while they wasted away the day waiting to see how issues in court would turn out. It quickly expanded into Saturday and Sunday too since everyone came to town early. I sort of grew up in Mount Sterling since both sets of Grandparents and loads of relatives lived Montgomery County. Mom & Dad went to high school there as well. My grandmother Elizabeth lived right downtown in an apartment over a grocery store on Main Street. I loved visiting the stores in town and there is something sweet and comforting about being downtown for me. Normally, Mt. Sterling is a quiet little Kentucky town of 6,317(2005 census) it grows to an estimated 130,000 during October Court Days! The whole town is a giant flea market with most of the downtown streets blocked for traffic and turned into miles of vendors. I have seen every type of item for sale here. The smell of food cooking on the outdoor grills is fabulous too! Each year there is a new HOT ITEM! One year it was designer knock-off handbags. We stopped at one table that was a small mountain of faux Chanel and Coach handbags. Surrounding it almost four bodies deep, were frantic crazy women snatching, grabbing and bargaining with the seller in lightning speed! The seller was this tiny Oriental girl delicately balancing on two concrete blocks(so she could have a good vantage point) with a fistful of money in one hand and a load of plastic bags on the other arm. She would tell you what the bag was priced... then grab your money. There were many more boxes under the table full of purses. It was the quick and the dead if you wanted one. The seller said she would only be there one day...so you better get it while the gittin is good! WhooHoo, it was fun! Back in the day my Dad said his favorite vendor was an old Indian that sold snake oil(with a bit of Magic Corn Salve and Black Draught). I didn't ever see him. One of my favorites of October Court Days was an organ grinder with a monkey. He would stand in the street and the monkey would gather silver coins from the tight circle of children and their parents. Try to give him a penny and he would refuse to touch it. Everyone would laugh and give him a quarter. I always thought that guy was a genius for making money the easy way. 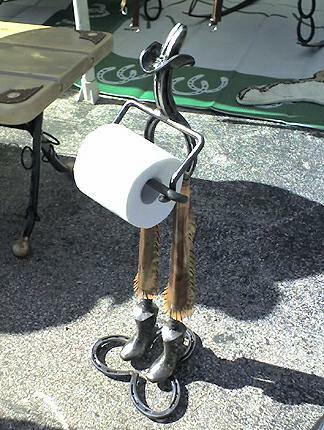 I always look for the unique items like this toilet paper holder made from horseshoes! I also thought these little pets called Sugar Gliders were neat. I held one in my hand and his little toenails were pretty sharp. The sugar gliders knew their names and would jump in the air over to their handlers. They were sweet but I didn't think I wanted to take another critter home. there was quite a crowd of parents taking a look at ownership. Kids were crying...you know the drill. Anyway we parked kind of far from the event, so it made it a long haul to take back bargains to stash in the trunk. After one time back we were worn out and ready to call it a day. Like I said, there is nothing like October Court Days but after the end of one you swear you will never do it again...then you are back again in Mt. Sterling the next year. Maybe it's like having a baby... you forget all the pain you endured and have another one. After I recover this year, I will be looking forward to next time! 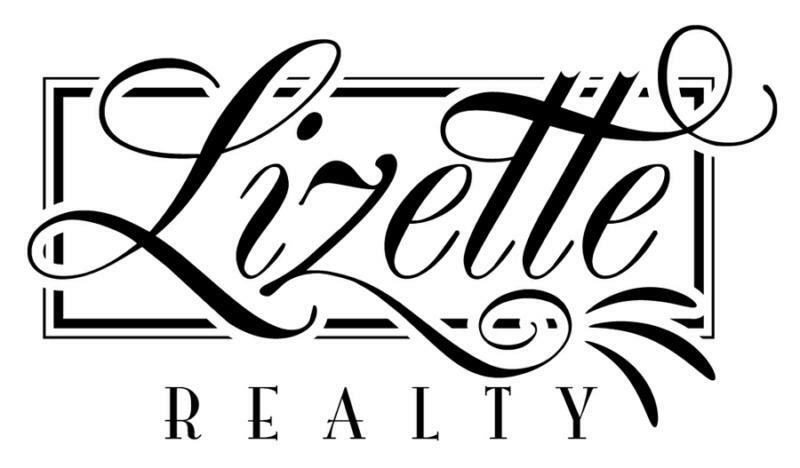 For more information on Lizette, Kentucky Horse Farms, Lizette Realty, Madison County, Fayette County, Richmond or Lexington KY real estate click on Lizette.us.